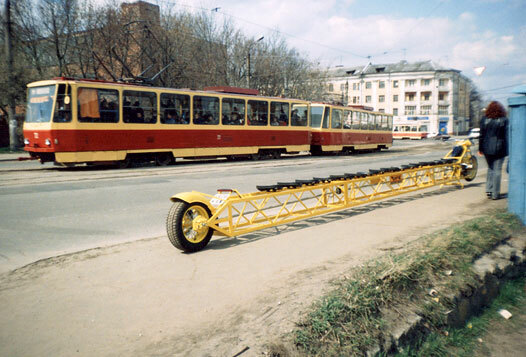 It has been to our attention that the longest bike in the world, officialy registered by Guiness record book is from Russia. It’s creator Oleg “Leshij” Rogov was from Tver city, a small town near Moscow city. He was a big biker fan since his childhood. 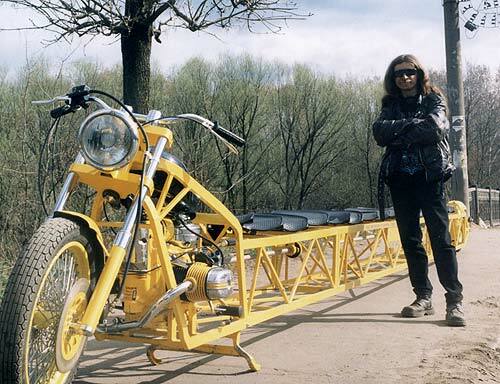 One day he has got an idea to build the longest bike in the world, according to his own story “probably after he got too much beer inside”. So after two years of planning and delaying he did it. 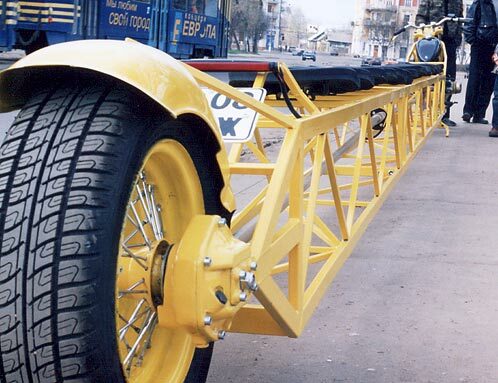 He built the bike that was 31 feet 4 inches long (9 metres 57 cm). 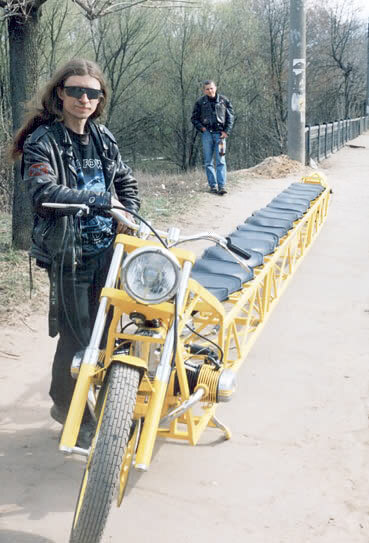 After the thing was ready he sent his claim to the Guiness book and got registered as longest bike in the world. The saddest part of the story is that he got into accident and died this summer, still we have the photos of his creation, it would be some kind of tribute to him. looks like he made it out of a construction crane. Man o man !! I need me one of those too. it looks like a lot of fun to drive. Live Fast, Die Young! Rest in peace, Oleg! Harley Davidson kill his self! Did he die trying to ride that thing for the first time? Or was he side swiped by another car? 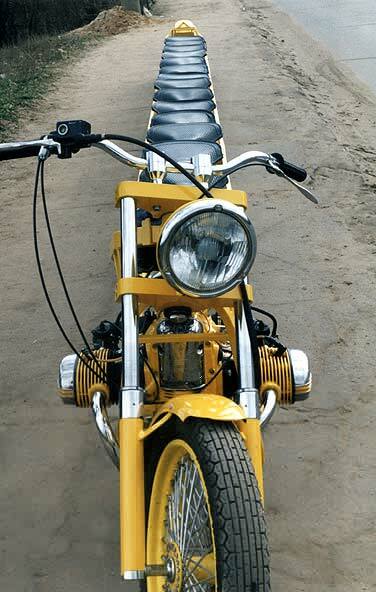 Pop a wheelie on that and you would hit your head on a street lamp! He died during water rafting with his brother. It is very unfortunate. From what I heard he was a great guy and a big motorcycle enthusiast.